That’s a downy, I think, and this big gal is a Northern flicker. Note the stiff-tail feathers deal they both do. 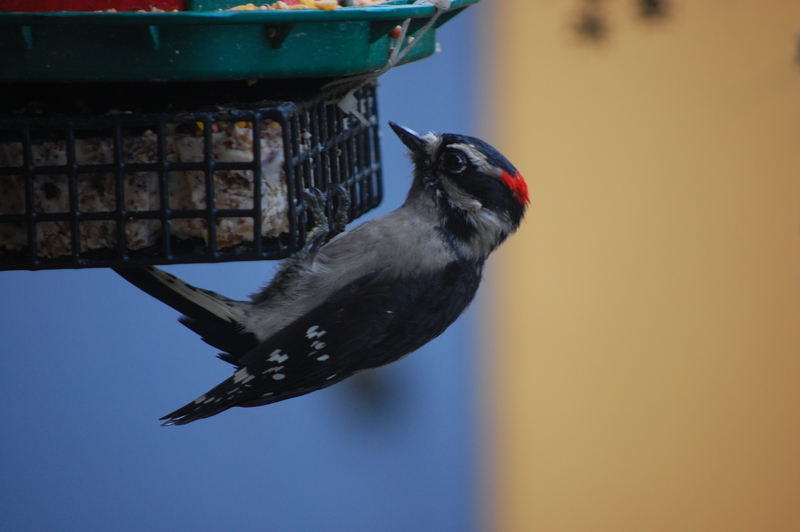 You can spot woodpeckers feeding by the angle. 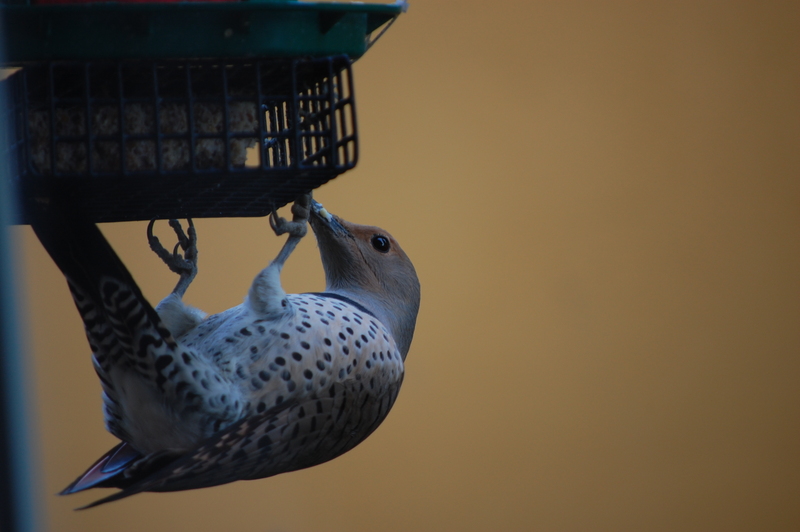 Northern flicker at my feeder.